I have been having a lot of fun cooking with plantains as they offer a great alternative to all the almond and coconut flours you often see in paleo cooking. When cooking with plantain recipes make sure you note the color that is called for. A green plantain offers a totally different consistency (more for chips/crackers) than a ripe one –the darker the sweeter, softer and more desert like. In this recipe a ripe or an almost ripe would work best. 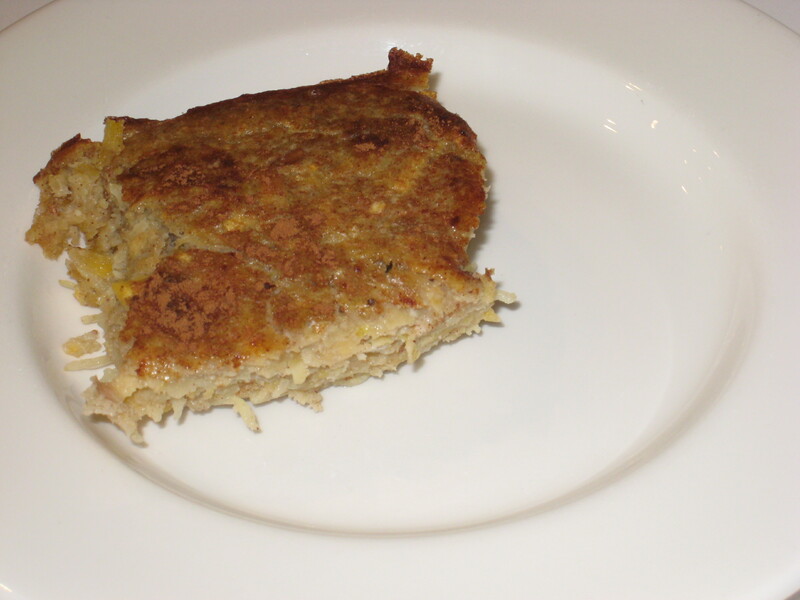 Kugel is a traditional Jewish comfort food –often containing noodles, cinnamon and creamy dairy . Sounds delish right? But I really wanted a healthy alternative that would not put me to sleep or make me feel awful after. 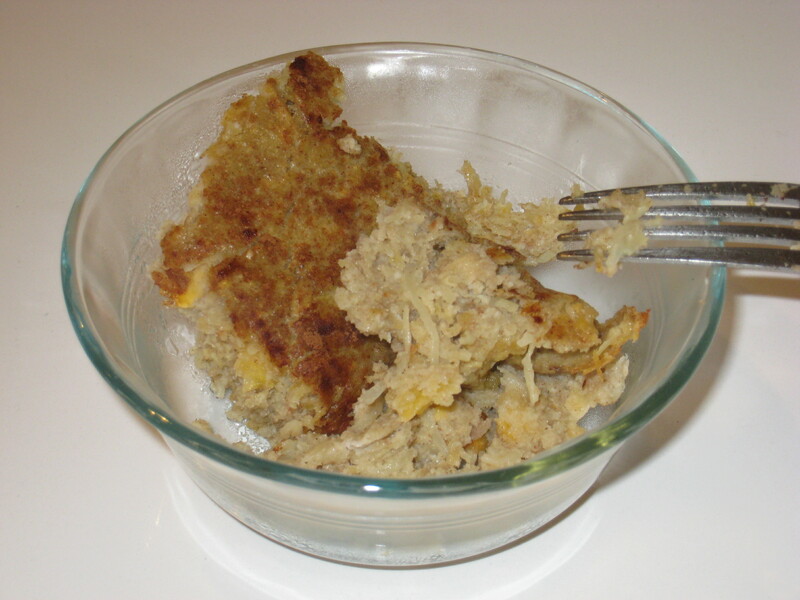 To me this really tasted like a kugel–though not nearly as sweet. You may want to add raisins, vanilla or a little honey/maple syrup. Combine plantains and coconut oil in a blender or nutribullet. You can also mix with the back of a fork if plantains are very ripe. Add to well greased pan.